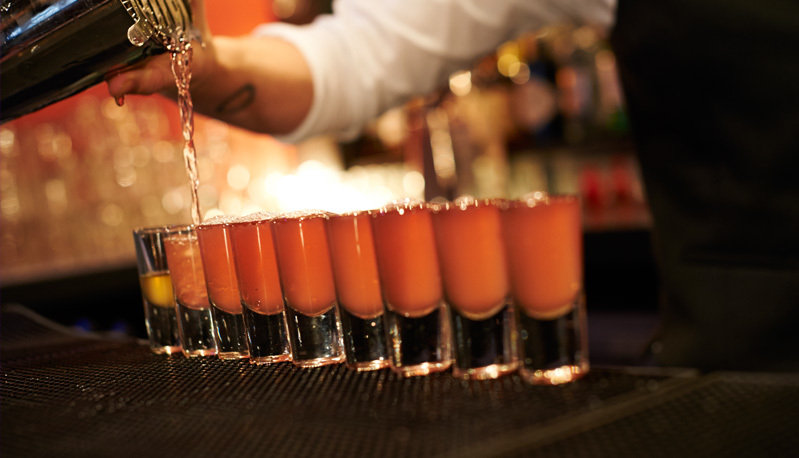 At Hire Catering, we’ve thought of everything you may need for a professionally manned bar, chic fashionable wedding or a family party and we have every type of bar accessory available to hire, even a mobile bar, all under one roof. Bar equipment is perfect for those events where you are expecting a large turnout and will be having drinks during or after the event. We offer bar equipment for hire at highly competitive prices. 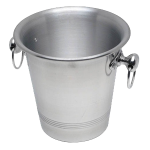 Some of the products in this category include cocktail glasses, measures & pourers, spirit drainers, wine / ice buckets, and ice scoops. 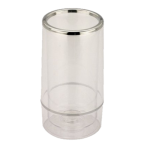 If you require bar equipment you may also wish to hire some of our glassware. If you would like any more information regarding our bar equipment or any of our other products, please do not hesitate to contact Hire Catering today and one of our experienced staff will be willing to help. 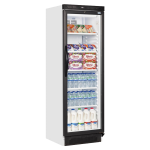 Keep your best sellers chilled with this lockable bar fridge. With a double glazed glass door yo.. 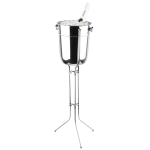 The classic Champagne bucket with ringed handles is an iconic item and instantly recognisable as an ..
For instant impact, you can’t beat the flamboyance of a free standing Champagne bucket as it adds .. 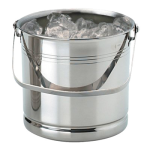 The shining stainless steel ice bucket with incorporated drainer ensures that melted ice gathers at .. 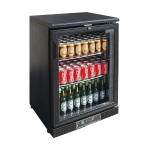 If our bottle fridge is not large enough for your event we also have the tall display fridge which..
Our wine coolers are clear so your guests can see the bottles and double walled for insulation. 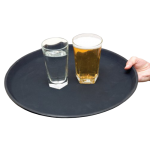 At ..
An inspired but straightforward item, the non slip tray incorporates a rubber surface finish whi..
A very simple but useful accessory at any busy bar, our flexible rubber bar mat prevents slipping an..
Made from strong, wipe clean black acrylic, the handy caddy is used to keep bar and restaurant ser.. 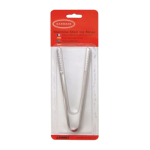 Although not a glamorous item, the bar truck or skip is utterly necessary at any busy bar or event a..
Our Industry Approved ice tongs are a very useful but simple gadget for ensuring a hygienic and effi..
We really are a one stop shop for everything to stock a busy bar and we always supply superior quality items and accessories. Equip the bar for a funky cocktail station with cocktail shakers, pourers and flamboyant Martini glasses. 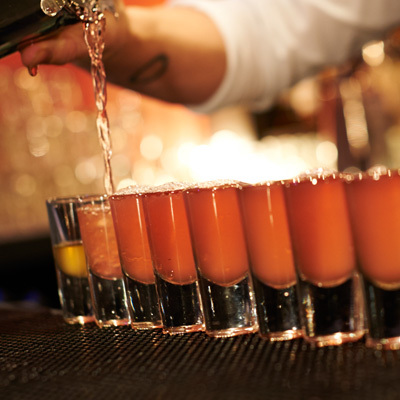 Having the right barware to host a well rounded party giving your event a professional, smoothly operated ambience. 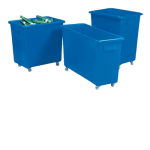 Items include Waiter’s Friend bottle openers, polished ice and Champagne buckets, tongs, shot measures, non slip trays, elegant metal pouring spouts and wheeled bins for easy bottle disposal. My venue does not have a bar; can I hire a mobile bar? 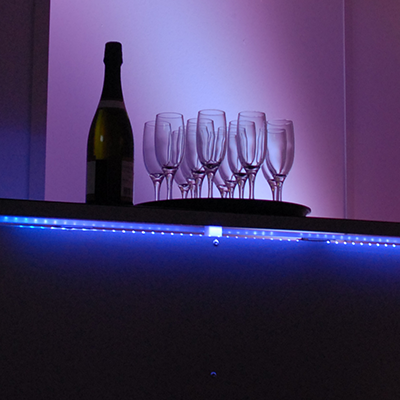 Renting a mobile bar can sound daunting but Hire Catering make it easy, from straightforward prices, simple and easy to understand hire terms, an assemble in minutes mobile bar and every accessory you may need to have a great event. 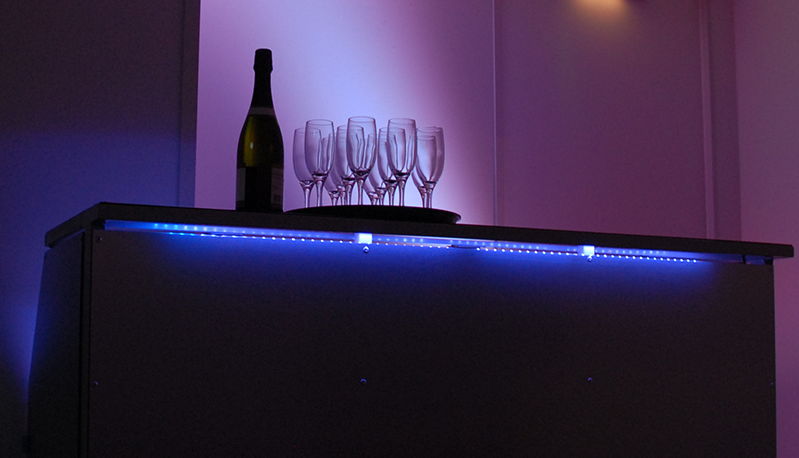 Our mobile bar comes equipped with programmable LED lights creating a magical party atmosphere or flashing coloured lights which pulse in time to the music. 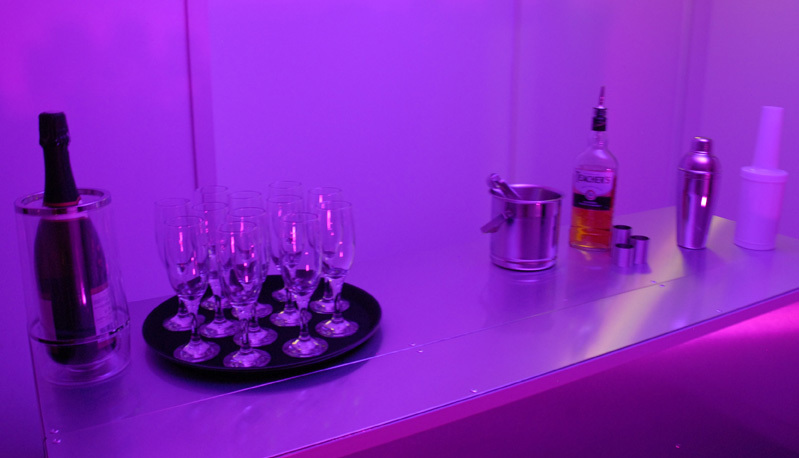 Our mobile bar can also be used outside in a marquee or gazebo to extend your party space. 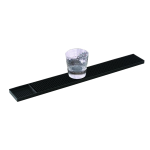 For such a sophisticated looking bar, it is surprisingly simple to use and has only 4 steps from being delivered flat to a working upright bar and is literally assembled in minutes. The mobile bar weighs 44kg making it sturdy and practical yet still easy to manoeuvre around your venue and comes with a useful shelf and storage space. 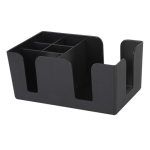 The bars dimensions make it an extremely convenient and versatile piece of equipment ideal for one off special events or as a valuable add on to the hospitality trade. Height 112.5cm (45”) x Width 150cm (60”). Our mobile bar, accessories and catering equipment is available for personal use or to the hospitality and catering trade so whether you are planning a flamboyant 21st birthday party for 50 people or temporarily extending your wet trade area at peak season, our professional accessories are industry approved and meet trading standard guidelines. As the best value furniture and catering hire company in London, our aim is to offer the best quality in demand products and excellent customer service at the most affordable prices. Our easy to assemble mobile bar can be hired from just £89 and will transform a party instantly whilst the stylish and useful accessories can be hired from as little as 39p! 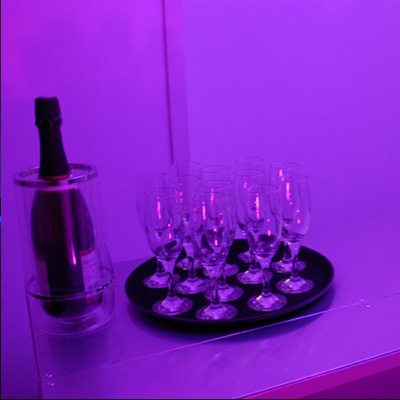 Whether your event is for corporate entertainment during the week or a fabulous party at the weekend, we can deliver the bar and accessories directly to your venue and for a small fee, set up furniture and the bar to your specifications to save you precious time. We even deliver on Bank Holidays and in the evening to offer our customers the most convenient service. Our barware can also be collected with a suitable vehicle from our Crouch End warehouse, 7 day a week, including weekends. To offer our customers the widest and most convenient choices, our sales team are available to you 7 days a week and we are also open on Bank Holidays, so you will never miss out on our best offers. Place your order with our knowledgeable event specialists on 0203 141 7740 or ask for a free quote. Have a question? You can also email us at info@hirecatering.co.uk.